There was a mis-print with the recycling schedule on the township calendar beginning with June. Residents should follow the calendar that was with the original notice letter. ORIGINAL LETTER & SCHEDULE. NOTICE – the Township will not be acquiring any more bear proof cans or recycling cans. There are still a small number still available for purchase. The cost is $25 for a 30 gallon bear proof can ($50 for out of town residents) and $20 for a 32 gallon recycling can ($30 out of town residents). MORE INFO. IMPORTANT NOTICE – Effective January 2019 Township Recycling will be provided by Blue Diamond. The first pick-up will take place Wednesday, January 9th for co-mingled recyclables only on a Township wide basis. Additional information regarding the changes and the full schedule for 2019 may be found here – INFO. 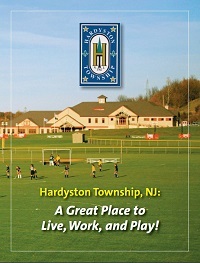 Hardyston Township is pleased to announce that registration for the 2019 season is now open. We hope you and your family will join us! Hardyston residents can rent a 4’ x 8’ raised bed, filled with organic compost and soil, to plant and harvest vegetables for their personal use for a $40 deposit. Gardeners who maintain their plots throughout the season and properly clean up their plot by the end of season on November 1st will have their deposit returned. A completed registration form, signed Gardener’s Commitment and Hold Harmless Agreement, along with payment must be submitted by April 19th to be eligible for a space in this year’s garden. Click on the following links for a copy of the Registration Form and Community Garden Rules & Guidelines. http://www.njfishandwildlife.com/pdf/2015/spartamt_plan.pdfIf you wish to make formal comments concerning the plan you must do so by clicking on the following link: http://www.njfishandwildlife.com/spartamt_comments.htmThe deadline for the public comments is currently March 30, 2016.